Lilith Saintcrow, LLC, 9780989975377, 320pp. Kaia Steelflower has done quite well for herself, and she longs to retire as an innkeeper. Unfortunately, one night she picks the wrong pocket, and finds herself saddled with a barbarian, an elven princeling and his two hapless companions, a wharf-rat, and a lutebanging minstrel. And there's the little matter of an old friend calling in a debt of honor and blood-a debt Kaia can't refuse. 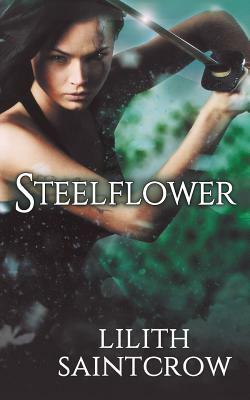 ...but Kaia Steelflower, thief and sellsword, has never known when to quit.